[su_dropcap]T[/su_dropcap]unji Braithwaite, frontline politician, activist-lawyer and elder statesman, died yesterday; six days after he fell into a coma. He was 82. 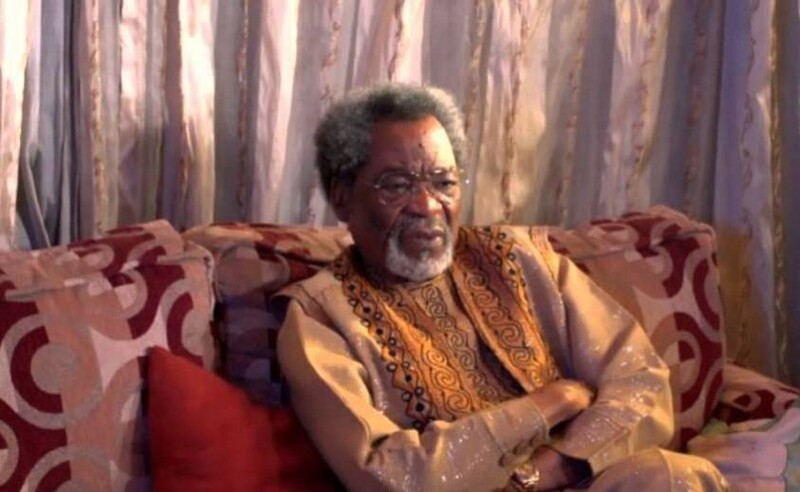 The late Dr. Braithwaite slumped in his Victoria Island, Lagos home last Tuesday during a fitness exercise in his gym. He was taken to St. Nicholas Hospital on Lagos Island where he passed on. His second son, Olumide, who broke the news to reporters, said Braithwaite died at 10:30am. He described his late father as an icon of his generation and a revolutionary, saying he would be remembered for his impeccable integrity and courage. Braithwaite’s death cast a pall of grief on his Beulah Street, Victoria Island home. His neighbours gathered, watching as mourners trooped to his house – a white mansion. The neighbourhood wore a gloomy atmosphere. The late Braithwaite founded the Nigerian Advance Party (NAP) in 1978. He was also a delegate to the 2014 National Conference organised by the Goodluck Jonathan administration. He ran for president in 1983. In the 70s, he defended the late Afro beat musician Fela Anikulapo-Kuti. Early callers at Braithwaite’s residence were his professional colleagues, church and family members. A prayer session, which lasted for about 45 minutes, was held in his living room. The former Provost of Cathedral Church of Christ, the Very Reverend Yinka Omololu, who presided, paid a glowing tribute to the late elder statesman, who he said had known since childhood. Dr. Grace Simisola, the late Braithwaite’s wife, sat all through the prayer. She looked sober. Clad in a brown kaftan, her head covered with a scarf, she lowered her gaze and kept silent throughout the session. She rubbed her palms every time she looked at her late husband’s picture hung on the wall. Omololu said: “Uncle Tunji (Braithwaite) was not only a Christian, he also followed the scripture. The fact that his death came during Easter period brought a significant sign for the family. I know him as a forthright and candid man. He was a man who had the love of this country at heart. Beyond politics, not many people know that Uncle Tunji was also an evangelist. Born in 1933, as the youngest son of eight children of his parents, the late Braithwaite was educated at the CMS Grammar School, Lagos, completing his education in 1953. He attended Advanced Level at the London University at Kennington College in 1955 and enrolled in 1957/58 as a Law student at the Council of Legal Education, London. The late Braithwaite was admitted into Lincoln’s Inn that same year. He graduated as a barrister in 1960. The late Braithwaite married his childhood sweetheart, Grace Falade, in 1956, while they were undergraduates. They had five children and many grand grandchildren.